Hashra, a company that sells crypto currency ASIC miners based on chips manufactured by other companies, but the final products are branded under their own Hashra name has announced interesting specifications update for their latest Scrypt ASIC miner. The 100 MHS Astro Scrypt ASIC, announced back in August, will have a power usage of just about 550-600W, a price of $450 USD and is supposed to be available for shipping next month. The device apparently is “based on readily available technology already in the marketplace, no speculative pre-order on non tested technology or chip design here” according to the information official product page and the 100 MHS Astro miner is relying on 7 modules with 28nm chips. Hashra promises to ship the Astro Scrypt ASIC miner by the end of December latest or they will offer a refund and although they claim this is not a “speculative pre-order”, it essentially is as it may take a month and a half for the device to be shipped to you as the products are apparently not yet ready, even though the chips they use apparently are. 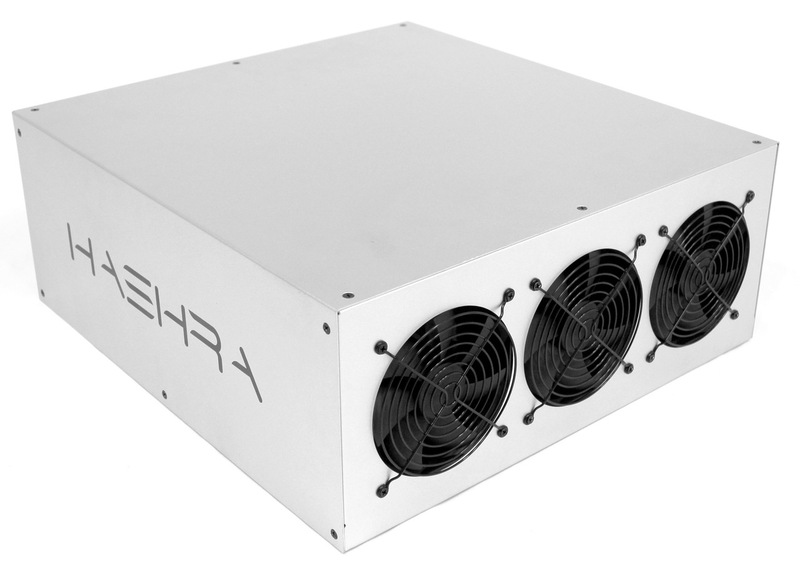 The other new product from Hashra, the Moonraker that is also scheduled for shipping next month is a Bitcoin ASIC miner that although is also very attractive in terms of price is not so much in terms of power usage. There are already Bitcon ASIC miners with similar hashrate and power usage, but they are just ore expensive than the price that Hashra has set for their Moonrakers. So you might want to be more careful with these considering the fact that the products are not currently available and ready to be shipped when you make an order.